With over 25 years in the Hospitality and Travel industry, A2Z Travel Concierge is here to help you with all your travel needs. From group and individual travel to corporate travel and meeting planning let the Travel Concierges at A2Z plan and coordinate all the logistics of your next vacation, trip, or event. A2Z Travel is a member of ASTA and has offices in Tucson, AZ and Silver City, NM. Your local real estate expert, providing comprehensive real estate services to home buyers and sellers. Arizona Hearing Specialists Contact: Janis Wolfe Gasch, Au.D. Arizona Hearing Specialists has been serving Tucson, Green Valley and the surrounding Arizona communities since 1981. We offer a full range of diagnostic and preventative hearing healthcare services, including hearing evaluations, tinnitus evaluations and treatment, cochlear implant candidacy evaluations and mapping, small group aural rehabilitation plans and a full range of treatment options for hearing aid cleaning and maintenance. We are dedicated to keeping up-to-date with the latest technological advancements in the hearing care industry and are committed to offering the most current options to our patients. Please contact us today to schedule your appointment with one of our doctors of audiology. 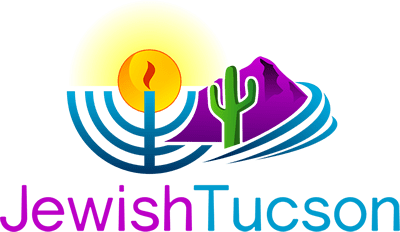 Southern Arizona’s award-winning Jewish newspaper. As an artist, I believe my work should capture the beauty and movement within nature. My latest collection has been created by utilizing the technique of reverse painting on acrylic glass. By meticulously applying over thirty layers of bold, iridescent colors under glass, my artwork takes on a multidimensional, shimmering and reflective aura. While creating customized and commissioned pieces for my clients, I consider the overall design, the functionality and most importantly the budget parameters of the project. Seasoned custom designer and writer focusing on nature, myth, prayer, and beauty. Works with each client to design a personalized hand-painted silk tallit or chuppah. Media includes painting, illustration, architectural art glass (stained and etched), home textiles (table linens), silk apparel for men and women, museum exhibit design, murals and more. Recipient of the 2013 Tucson Festival of Books Award for Literary Nonfiction. Creator of The Art of Paying Attention illustrated nature radio series on NPR in Tucson. At AssuredPartners, we’re not just in the insurance business. We’re in the business of cementing powerful, lasting relationships. Relationships built on trust that we earn day in and day out by working openly and honestly with you as partners to achieve common goals. As true partners, our national team of dedicated, highly experienced insurance brokers and professionals always have your best interests in mind and are passionate about protecting your assets and helping you grow. We find all the best new solutions through listening, problem solving and collaborating with you. We don’t blindly enforce corporate mandates – we make decisions that are right for you. Ones that fulfill your exact needs and further your succcess – now and in the future. That’s power through partnership. Assured Partners of Arizona, Inc.
AssuredPartners of Arizona, headquartered in Tucson, now represents the combined agencies of GBP Risk Solutions, D.M. Lovitt Insurance Agency, and HealthInsuranceAZ. That commitment has empowered us to be the fastest-growing independent insurance agency in the U.S. Founded in 2011 as a national partnership of leading independent property and casualty and employee benefits brokerage firms, we’re now one of the largest brokers in the nation with offices in 30 states and two countries. Partnership. Expertise. Innovation. Passion. Doing the right thing. These aren’t traits you typically find in the world’s largest insurance firms. But you’ll find them with us, because we’re invested in your success – now and for the long run. As a full-service agency, B. Frank Communications has handled a number of quality brands and clients. From event to retail, we’ve done it, and done it well. Our multitude of press clips proves it. Simply put we’re in the business of getting clients noticed whether through a single approach or any combination of offerings- always with the ultimate experience of both our audience and customer in mind. Bed and Bagels is a pet-friendly bed and breakfast your whole family will enjoy. Lovingly run by psychologist and Alzheimer researcher Sharon Arkin, it reflects her passion for international travel, good food, the out-of-doors, art collecting, and making new friends. BRAKEmax offers a wide range of quality automotive service for all your auto repair needs. From basic services like oil changes, brakes, suspension service to more challenging mechanical services like diagnosis and repairs for transmissions and auto air conditioning service. In addition, BRAKEmax is a leader in technology with computer updates, diagnostics and flashing services. In addition to complete auto repair and maintenance, BRAKEmax also offers Auto Glass Replacement in Tucson, AZ through Max Auto Glass. Our expert technicians have training in all types of auto glass repair and replacement, offering free mobile service to your home, office or any BRAKEmax location! We always aim to achieve highly skilled auto repair, but our goal is to also provide our customers with outstanding service. You can request an estimate online from one of our dedicated customer service professionals or Ask a Technician to get expert advice. To save money on your automotive repair, you can even print your own coupons. I am a coach for Gupta Programme, which was the final method I needed myself to get completely better from chronic fatigue, chemical sensitivities, and fibromyalgia. People may choose to work with me for coaching, for energy work and flower essences, or any combination of modalities they are drawn to. I am a certified provider for learning Tension and Trauma Releasing Exercises (TRE), which help the body release tension and trauma held in the body, through activating the body’s natural tremor response. In an energy work session for a person, building or organization, we identify issues and get messages from problems. I then facilitate change through energy healing, flower essences, and creative expression. Disclaimer: Jewish Tucson does not endorse any person, products or services contained in this Professional Directory. The acceptance of a listing in this Professional Directory does not constitute recommendation, approval or other representation of the reputation or ability of any person or the quality of their products or services. 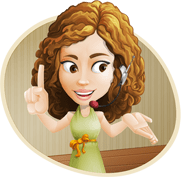 Use of any products or services advertised in this Professional Directory is solely at the user’s risk and Jewish Tucson accepts no responsibility or liability in connection therewith.